Fine cowhide coasters to protect your desk or boardroom table. The 2418 coaster comes with felt backing. 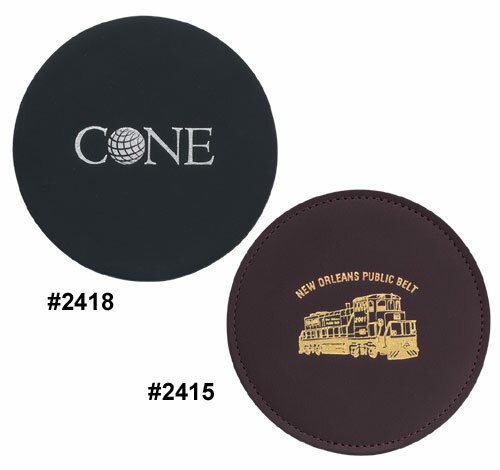 The 2415 coaster comes stitched with a vinyl base. Click here to view and download a 2418 pdf. Click here to view and download a 2415 pdf.